Photos which show that Syrian government officials committed war crimes are 'horrible to look at,' says State Dept. Spokeswoman. Both the United States and the United Nations expressed horror on Tuesday over photographic evidence which showed that Syrian government officials committed serious war crimes in the form of systematic torture and killing. A team of internationally renowned war crimes prosecutors and forensic experts presented a report on this on Monday, based on thousands of photographs of dead bodies of alleged detainees killed in Syrian government custody. The experts who authored the report say the evidence in the photos would stand up in an international criminal tribunal. Deputy State Department Spokeswoman Marie Harf said the photographs of the torture and killing of thousands of detainees in Syria suggest serious international crimes by the government of Syrian President Bashar Al-Assad. "These reports suggest widespread and apparently systematic violations by the regime," she was quoted by Reuters as having said. 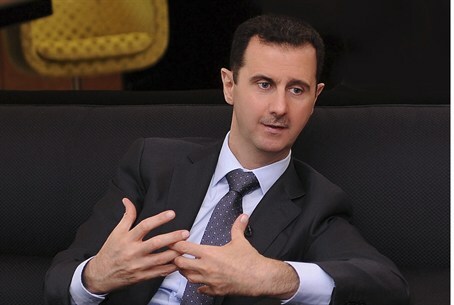 "As we said before, the Syrian regime is responsible for war crimes and crimes against humanity. These most recent images ... are extremely disturbing. They're horrible to look at,” added Harf. "And they illustrate apparent actions that would be serious international crimes," she said. Harf said the prosecutors' report emphasizes the importance getting an agreement in place that will bring a political transition and an end to the bloodshed. "It underscores that it makes it even more important that we make progress, that the situation on the ground is so horrific that we need to get a political transition in place and that we need to get the Assad regime out of power." She said she was not sure if the U.S. government was trying to verify the prosecutors' report but said she saw no reason to doubt its veracity. "It certainly is in line with everything we know about the Assad regime," Harf told a news briefing. The bodies in the photos showed signs of starvation, brutal beatings, strangulation, and other forms of torture and killing. David Crane, one of the report's authors and the first chief prosecutor of the Special Court for Sierra Leone, told CNN on Monday that he believed the photos were the “smoking gun” that proves Assad’s involvement in war crimes. “Any prosecutor would like this kind of evidence - the photos and the process. This is direct evidence of the regime's killing machine,” said Crane. The United Nations human rights office also expressed horror on Tuesday at the report, saying the allegations must be investigated. "This report is extremely alarming, and the alleged scale of the deaths in detention, if verified, is truly horrifying," Rupert Colville, spokesman for UN rights chief Navi Pillay, told AFP in an email. "Allegations this serious cannot be ignored and further investigation is clearly necessary," he added. Both Pillay's office and an independent commission of inquiry on Syria, appointed by the UN Human Rights Council in Geneva in 2011, have already documented a number of cases of torture similar to those described in the report, but not on such a large scale. In December, Pillay said for the first time that war crimes by pro-regime forces in Syria were authorized "at the highest level," including by Assad. Pillay made the statements based on the findings of a special inquiry into abuses by both sides in the Syrian civil war, and added that "the scale and viciousness of the abuses being perpetrated by elements on both sides almost defies belief." The report released Tuesday "underlines the importance of independent monitors ... being allowed unfettered access immediately to Syria," Colville told AFP.